Is it to be perennials or annuals this year? Try a free online garden planner like the Better Homes & Gardens free Plan a Garden tool to visualize your garden before venturing out to the local nursery. It takes time to research the advantages of each type and feature of garden flowers for the best effects with the least labor. All gardens are supposed to be up to this ideal, and all do it yourself backyard gardeners plan to bring their own gardens up to it. Nevertheless, so many things interfere with garden planning that one is perennially excusing this or that defect and forever promising that it shall be corrected "next summer." But not all people have enough horticultural expertise to choose plants and arrange them for best results.If you're one of them, try free garden planners for designing your outdoor space. Now is the best time to go over your garden's deficiencies carefully, and correct them for this summer. You can design your own garden -- flower, vegetable or rock garden -- easily with the help of an online garden planner. Whether a new home owner or just a gardening enthusiast, you first need to determine what plants you like and where they will thrive, a simple task with an online garden planner. Before it comes time to venture outdoors to create your own garden design, become thoroughly familiar with the things you propose planting. Make sure that the annuals are annual, and that the perennial plant design that looks so great in a catalog, is going to stay with you forever and a day, and not just over one winter. With a free how to garden app you can leave that heavy plant reference book on your desk and just bring along a lightweight iPhone with an app to identify plants, their ornamental characteristics, propagation tips, culture requirements, and suggested uses. 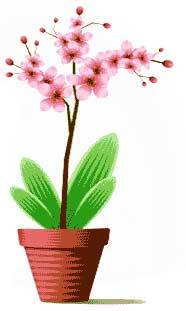 In addition to each plant's physical description, there is also an expansion of details regarding hardiness, growth rate, diseases, and insects. For a successful garden, you need to map out a schedule for what is to be done when you first begin work out-of-doors. Garden planning online makes sure each operation comes in logical order or sequence, and each task is taken up at the proper time to lead on to the next undertaking. For example, if a plant is to be shifted because it is not favorably located, such transplanting should precede the planting of new material. The Smart Gardener online garden planner is the ultimate “to do list” app for gardeners. Users with a green thumb can get started by setting up a new garden or manage their garden related tasks. A good landscaping app lets the gardener record specific environmental conditions, garden layout, landscape edging, size and shapes with easy to read garden diagrams. Smart Gardener app provides a browse-able list of plants along with filters and recommended plants that would work well with specific garden conditions. Another great online garden planner, Garden Puzzle, lets you create a garden design with a variety of garden layouts before actually stepping foot outside. The garden planner allows you to upload photos and then continue to add plants, trees and shrubs. You can classify both climate and soil conditions beforehand, so that the best plants could be recommended by the garden design tool. You can even get visualization for all four seasons. 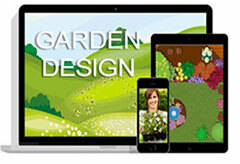 Your final garden designs can be saved and shared with other users or printed. 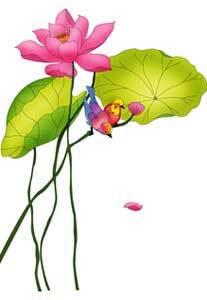 This online garden planner is user friendly and fun to use. Garden Puzzle is also useful for landscape professionals as a quick sketching tool. Included is a structures library containing arbors, fences, benches, and stones. Moreover, with online garden design you can easily add lawns, paths, water and other surfaces with the brush tool. Whether you are an aspiring landscape designer or a weekend gardener, you might want a garden design software program with more features than an online garden planner. While there are plenty of options available, they can be quite expensive. If you are only designing a backyard garden you might not be able to justify the cost. However, there are several landscape design software download options available which may be more than enough for a weekend gardener. Some garden design programs include an aging feature that illustrates plant growth; a shadow casting feature indicating where shadows will fall throughout the day and the changing seasons; and a cost estimate and material list generator. To get the most bloom for your buck, take advantage of a free trial download of one of the most popular landscape design programs with the most features.